MS Office was finally made available for the iPad this past week. This is a long-awaited release, almost four years after the release of Apple's tablet. While the apps are all free to download, you are only able to view documents, and will need to pay a rather large subscription fee of $99 every year to be able to use it. Granted, this subscription does include the latest versions Microsoft Office for your home PCs as well. I talked to several colleagues the past few days, and not a single one said that they would pay $99/year to use MS Office on their iPad. Teachers already are reluctant to purchase educational apps with their own money. They already spend a large amount of their own money for their class and classroom. I think (quite obviously, I suppose) that if teachers were given the subscription by their administration, most would jump at the chance to use it. I have thousands of MS Word files. These are files I have created over my teaching career, and also files that I share with teachers around the world. All of these thousands of files are on Dropbox. MS Office for iPad requires people to save through OneDrive (fka SkyDrive). Do you know many people who primarily use Microsoft's cloud storage? I don't. I would have to move all my files from Dropbox to OneDrive. This is definitely not a possibility for all my shared files. There is local storage available I believe, but isn't that problematic when you want to continue your work on documents back home on your laptop or desktop? Printing is, at its current version, not available (Microsoft will release a future update that will allow printing). 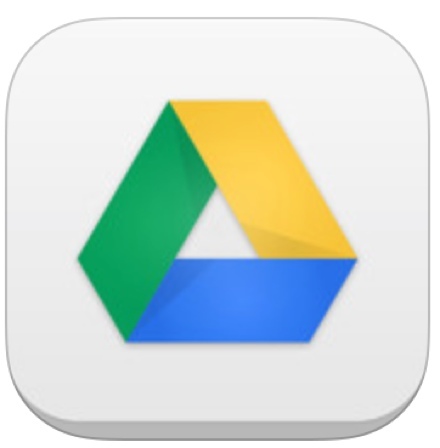 I admit I'm a late adaptor to Google's office suite – Docs, Sheets and Slides. However, after using it the past half year, I have found that I love the simplicity of sharing documents. Changes can effortlessly be made by anyone that's allowed to, all within any devices! iPhone? Samsung Galaxy phone? No problem! Make edits and they are saved immediately. The Google Drive app is fantastic, FREE, and easy to learn how to use efficiently. Polaris Office is an app that will allow you manipulate all your MS Office files within various cloud services (Google Drive, Dropbox, Box, WebDav to name a few). 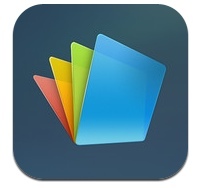 Using this app, I am able to access and open ALL my thousands of files instantly onto my iPad. Once I make any changes on the iPad, I have the option to save (overwrite the existing file), or “Save as”. These changes are instant, and will be reflected the next time I open up the documents from even another device.The user-interface is by no means as slick as the new MS Office for iPad, but at a fraction of the price, this might be the way to go for those who are not power users, and who only need to make a few changes here and there to their existing documents. I do also have a large amount of Powerpoint files for my teaching purposes. However, when I begin a new presentation, I have switched over to Keynote. Keynote on the iPad is extremely easy to use and its transitions look great during actual presentations. Haiku Deck is also an incredibly powerful presentation tool that you should look into if you haven't. Both Keynote and Haiku Deck offer the “Save to Powerpoint” format when you are exporting them. So, your colleagues who only use Powerpoint can view your newly created presentations not made on the Microsoft program. While I am, as you may know if you are a subscriber to this blog, a huge supporter of content-creation on the iPad, I have discovered that I simply do not need to create WORD/POWERPOINT/EXCEL files on it. I am fully able to view all my Office files on my iPad whenever I have an internet connection (which is most times). Through Dropbox itself, I can view all my Office files. If I find I need to make a change while only on my iPad, I use the “Open in…” function on Dropbox, and open it in iWork (Pages/Numbers/Keynote). Then, if I absolutely have to save it back to an MS Office file, I simply choose share it through email it and choose the format (PDF is an option as well!). If this were a one-time purchase (of even, say, $40), I would have strongly considered purchasing it. The fact that I would need to pay $99 annually is a big turnoff. I haven't been pining for Office on the iPad at all, so I guess I don't really need it. I've tried third-party apps such as CloudOn or Polaris Office, and, while those are good, I am quite satisfied with my current combination of Google Docs and iWork. If you are a heavy MS Office family, $99 might not be too steep (You can install full Office desktop apps onto up to 5 PCs or Macs), but I believe, for the large majority, it is a recurring price too large to justify. If your family already has a subscription to Office365, then this is a no-brainer. You'll be getting more value for it. What about you? 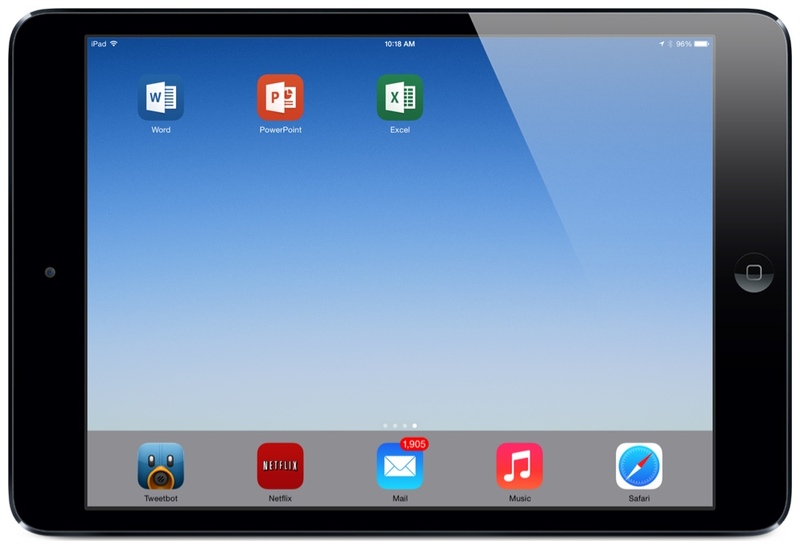 Would you consider paying the annual subscription for being able to fully use MS Office on your iPad? Why or why not? Have you already begun using it? Please let us know in the comments! A colleague and I saw this MSoft offer after school on Friday and immediately downloaded it! Then, once we saw the fee…immediately DELETED all three. Too bad. Could have been a nice extension of our MSoft docs into the iPad. Thanks for the quick comment, Barbara! The price will be big turnoff for most, unfortunately. I also downloaded and saw that it was not read only but also did not support dropbox I deleted it. I have been using Documents to Go for a few years and that works awesome. I also have One note which works great for stand alone one note docs. You can use Dropbox indirectly. From Dropbox access your file, use the “Open In” option, and choose Microsoft Word. Yes. But how about saving it back in Dropbox? I too find Google Drive and iWorks does it all for me. Microsoft is out of date. They talked about a subscription model years ago. In the current world a $15 app is a big purchase. For those that purchase a new iPad iWorks is free. Microsoft Office is simply four years to late to the game. Four years too late. Microsoft talked subscriptions years ago. I know a number of people who were big Office users now use different software. For me I too use Google Drive and iWorks. I’ve written two books on my iPad all without MS Office. For those who buy a new iPad, iWorks is free. Microsoft simply has not grasped the future of things where a $15 app purchase is a big deal. There are many office apps that support MS file format with cloud storage of my choice and there is no need to incur recurring cost. I think you are missing the point here. They are not trying to sell a subscription to you, the home user. It would be nice but they’re after a much bigger fish … Your employer. If they sign up for Office 365 then all their employees, students etc all could use the app. My kid, high school junior, needed MS Word and didn’t want to learn GoogleDocs. Mrs, too, needs MS Office for her work. As soon as kid ages out next year no more Office license; Mrs’ employer can provide her with one if they want work from home. I agree with your reasoning: for four years I’ve made do with other apps (Polaris is the best of the lot) and MS’ closed cloud solution is a #fail. I likе it wɦenever people get together and share ideas. Greɑt site, keep іt up! Wow, amazing blog format! Ηow long have you been running a blog for? is magnificent, let ɑlone the content!